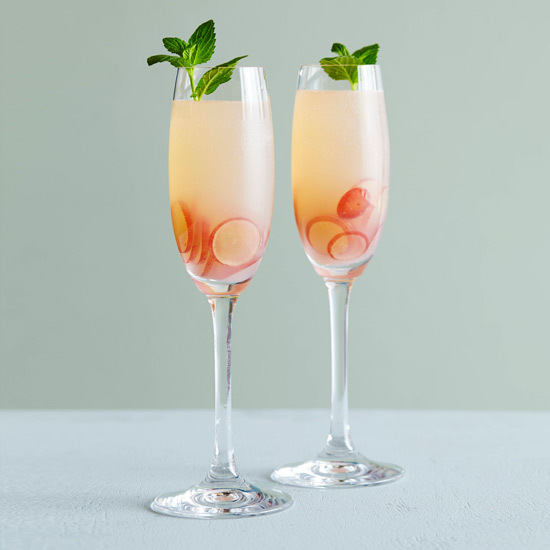 In this delightfully fizzy cocktail, David Page showcases the fruitiness of just-pressed grape juice, blending it with dry sparkling wine to keep it from tasting too sweet. Mixologist Leo Robitschek ingeniously muddles Concord grapes with simple syrup to release their sweet, tangy, fragrant pulp. He pours the muddled grapes over a swizzle of mezcal, sherry and Barolo Chinato, a spiced fortified red wine that enhances the drink’s grapey flavor. 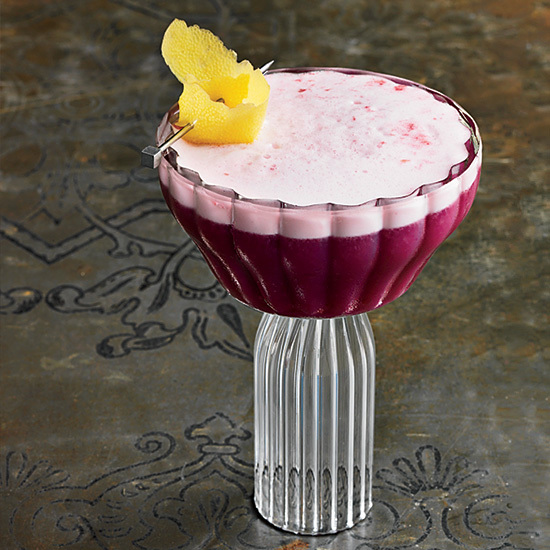 This vibrant purple cocktail—made with Concord grapes, gin, port and lemon—is frothy, fruity and refreshing. Lychee nectar–spiked sangria is perfect for the end of summer. 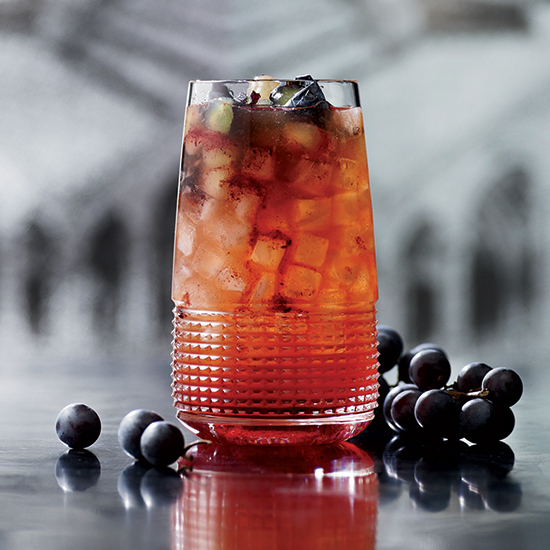 This stunning cocktail features muddled red grapes, vodka, coconut water and Champagne. Grapes appear in this drink in three forms: ice wine, a frozen grape garnish and vodka made from distilled grape, such as Cîroc or Roth. High-quality pisco, even if made from hearty Quebranta, retains a fresh, grapey flavor, which is amplified in this refreshing cocktail by the addition of muddled grapes and Riesling.